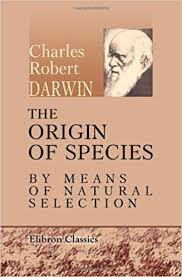 Charles Darwin’s The Origin of Species as an audacious work that birthed a whole discipline. But it had its failings. In particular, Darwin famously lacked the Mendelian model of genetic inheritance which easily maintained variation from generation to generation. The reason that variation is important is that it is one of the major raw materials which is required from biological diversification through adaptation (natural selection and the heritability of that variation being other important components). Mendelian genetics is defined by a rearrangement of discrete units of heredity, alleles of various genes, and so solves the problem of the maintenance of genetic variation. Obviously, evolution is not just genes. 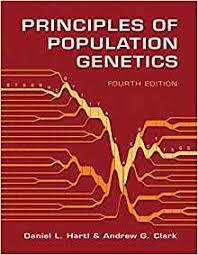 But, if you are an evolutionary geneticist, then evolution for all practical purposes is defined by changes in frequencies of genetic variants over time. Until very recently the genetic currency fed into the theoretical machine of evolutionary genetics was precious. There was a great deal of scarcity. A few model organisms, and a few loci. The birth of genomics meant that many common and “important” organisms were sequenced en masse. But the revolution left most of the tree of life untouched. That is going to change very soon, as geonomicists begin to churn out sequences of a huge number of species. More importantly, they will begin to have population-scale datasets of many species. This is a step forward from comparing single genomes of various species in a comparative sense. With population genomics researchers can inspect dynamics within numerous species across their whole genomes. This is a big deal. A lot of old questions regarding the generality and specificity, the inevitability and contingency, could be answered within a generation. The Thylacine, or the Tasmanian Tiger, is a tragic story that we all know (or should know!). 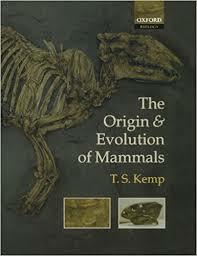 Too late did humans realize how precious it was, a large(ish) marsupial carnivore endemic to Tasmania. Hunted to extinction, the last one died because it was not properly taken care of. The Tasmanian Tiger is an example of why science is not just instrumental. That is, science is not simply the handmaid of engineering. Most people with an interest in biology have some instinctive reaction to the Tasmanian Tiger and what happened. There’s a natural pathos in it. 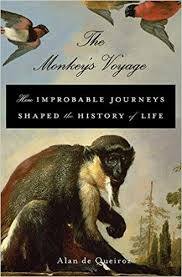 If you read The Monkey’s Voyage you know that the marsupials of South America probably derive from a single dispersal event. Genetics has determined that the South American Monito del monte is the most basal of the superorder Australidelphia, which includes all Australasian marsupials. That means instead of the single South American marsupial of this superorder being due to a migration from Australia, the Australian lineages diversified from a single South American ancestor. 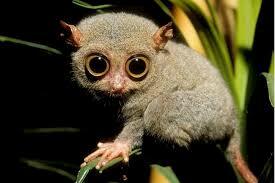 The Monito del monte is the last living descendent of this once extensive clade. This means that all of the vareigated marsupials of Australia probably diversified during the Cenozoic, even though the divergence between marsupials and placental mammals dates deep into the Mesozoic. The Koala, the Kangaro, and the Tasmania Devil, all derive from the same source. The Tasmanian tiger or thylacine (Thylacinus cynocephalus) was the largest carnivorous Australian marsupial to survive into the modern era. Despite last sharing a common ancestor with the eutherian canids ~160 million years ago, their phenotypic resemblance is considered the most striking example of convergent evolution in mammals. The last known thylacine died in captivity in 1936 and many aspects of the evolutionary history of this unique marsupial apex predator remain unknown. Here we have sequenced the genome of a preserved thylacine pouch young specimen to clarify the phylogenetic position of the thylacine within the carnivorous marsupials, reconstruct its historical demography and examine the genetic basis of its convergence with canids. Retroposon insertion patterns placed the thylacine as the basal lineage in Dasyuromorphia and suggest incomplete lineage sorting in early dasyuromorphs. Demographic analysis indicated a long-term decline in genetic diversity starting well before the arrival of humans in Australia. In spite of their extraordinary phenotypic convergence, comparative genomic analyses demonstrated that amino acid homoplasies between the thylacine and canids are largely consistent with neutral evolution. Furthermore, the genes and pathways targeted by positive selection differ markedly between these species. Together, these findings support models of adaptive convergence driven primarily by cis-regulatory evolution. The authors are saying that the clear morphological convergences between Tasmania Tigers and canids, which are obvious to anyone with eyes, aren’t detectable in similar sequence identity in regions of the genome known to be functional relevant to the characteristics of interest. Instead of sequence identity they suggest that rather the morphology is being controlled by evoutionary genetic process of cis-regulatory adaptation. 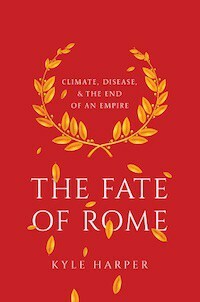 In the Mike Lynch vs. Sean Carroll debate of about ten years back, they’re saying that Sean Carroll was right (see this Hoekstra & Coyne paper for a different take). Part of the issue here is probably the sort of traits they’re focused on. There seems to be something about the gross morphological characteristics humans find salient that make them the target of cis-regulatory mediated evolutionary processes. Finally, they suggest with a PSMC plot that Tasmanian Tiger populations crashed around 70,000 years ago, well before Australian Aboriginals arrived. First, I’m not sure that I trust the 70,000 number to be precise enough that we can say it doesn’t overalp with human arrival. But second, is it me, or does every PSMC look like the pot above? It’s probably some sort of publication bias, as you don’t put in PSMC figures if they don’t show a bottleneck. But I’m kind of getting tired of it. The New York Times has a story up, After the Dinosaurs’ Demise, Many Mammals Seized the Day. It’s a write-up of a new paper that is open access, Temporal niche expansion in mammals from a nocturnal ancestor after dinosaur extinction. This research illustrates how computational power has changed evolutionary biology. There has long been an intuitive verbal model that mammals were ancestrally night-adapted creatures based on aspects of their biology, as well as the evolutionary reality that for most of the lineages’ existence they were overshadowed by dinosaurs (remember, more than half of our evolutionary history predates the Cenozoic). But today we do more than posit models which match and predict the fossil (or genetic) data. Computationally intensive phylogenetic frameworks are tested using extant lineages to generate probabilities of given scenarios generating the data we see given particular models. Something like the Reversible-jump Markov chain Monte Carlo (which is used in this paper) could actually be done manually…if a phylogeneticist had thousands of slaves to do all the computations. Obviously, the emergence of powerful computers accessible to all really changed the game in terms of analytic power. And yet I wonder about the sense of precision that people gain from these methods. Verbal models are necessarily vague. When you give a probability of a given hypothesis being 0.71, that gives understanding a solidity. But is it warranted? Though researchers understand all the individual moving parts of the phylogenetic framework, only a computer can really bring it all together. It’s something to consider. 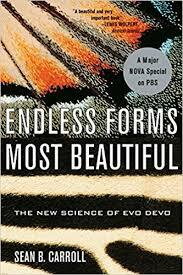 This is to a great extent the future of evolutionary biology. Positing models, and put it into a calculating machine like Leibniz dreamed of. Addendum: This is stupid of me, but only after reading the above paper did I reflect that most amniotes are diurnal and that mammals are the exception. Think about it, birds. And reptiles are probably more sluggish at night.